Business Insight - Chris Harper, Chief Executive of the BIPP. Almost all professions have behind-the-scenes organisations dedicated to supporting, educating and nurturing the people who make a living in those careers. For photographers, one of the biggest organisations is the UK-based British Institute of Professional Photography, or BIPP. 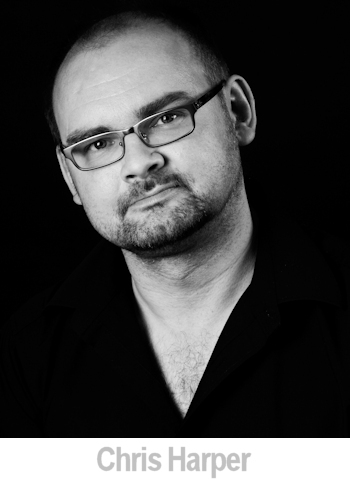 We've interviewed Chris Harper, chief executive of the BIPP to find out what they do for professional photographers. What does the BIPP do? 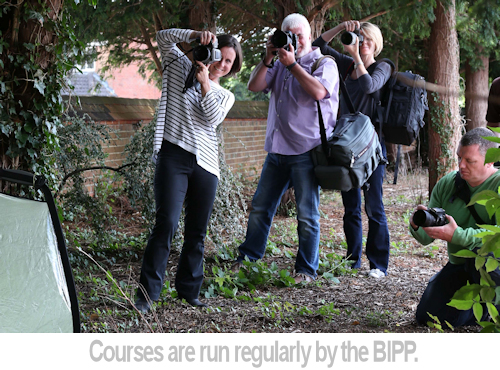 BIPP is a qualifying body for professional photographers. We support, train and qualify professional photographers. With a couple of name changes mixed in, we’ve been going since 1901. Around 2,800 photographers alongside universities, colleges and companies. Do you represent amateurs as well as pros? We represent best practice, so a lot of things we do cross over, things like advice on copyright licensing is on the website for everyone and we have a Friends membership for people who are keen to keep in touch but may not want to work towards a qualification at the moment. Why do photographers join the BIPP? Lots of reasons and every photographer is different, but I’d say the main reasons are the qualifications. To have your work formally assessed is good for business, but also pulls you out of the rut that a lot of us can get into. BIPP supports people in being the best image-maker they can be and that support can take many forms. Mentoring, training getting to know other photographers, talking over issues. Is it just a UK organisation or do you have international members? We’re global! Yep, we have international members. Keeping in touch is much easier now and BIPP’s qualification structure is one of the most rigorous in the world. Is it photography only or do filmmakers also join? We cover all types of image-making. A brilliant CGI movie won a Gold in this year’s awards. Film, animation, retouching, if it’s about creating images, we can support it. We work with the HM Forces, universities, forensic photographers, underwater photographers, if you create images, you can apply! Video production is now on most photographers’ radar, how are the BIPP supporting this? Our regional committees often organise training events locally and we have experts in their field that we can call. A two-day industrial/commercial conference recently had sessions on moving image, the use of drones, the trends in photography. Learning from other photographers is what we’re about. BIPP helps to ensure that we’re learning from the best in the profession. 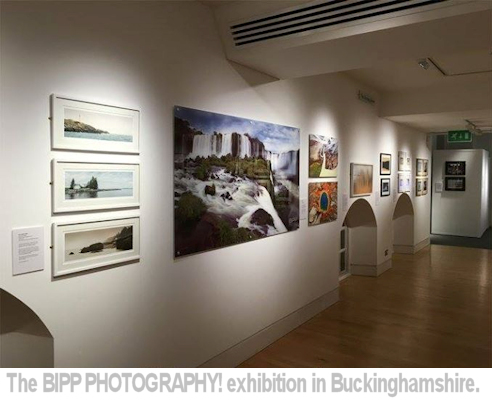 Is the BIPP London-centric or are their regional groups? Ha! I should have read this question first! We’re regional, we have 9 regions across the UK. They’re run by photographers, for photographers, and have event and awards programmes throughout the year. The office is based in a small village in Buckinghamshire. They’re different for everyone to be honest. A member probably won’t use all of the benefits but they include everything from mentoring to copyright and legal advice, training courses, support with press etc. There are also discounts from insurance companies to website providers. What's the criteria for joining? To join as a Provisional Member, photographers need to have commissioned or commercially intended work and be professionally insured. So, for example, if someone has put their images up for sale on a website, or shot for an exhibition, they could be classed as commercially intended. We can help people with insurance too, BIPP doesn’t provide insurance but as a member, photographers can gain some large discounts from providers. How does the regional structure work? Each region has a voluntary committee, which organises regional events and awards. Each region also has someone who represents them at the national Membership Services Advisory Board, where ideas and suggestions are discussed to help the regions and the organisation to move forward. You run a mentoring scheme, can you explain how this works? The mentoring, or qualifications advice, begins before people join BIPP, as they need to show digital files before becoming a Provisional Member. This is to make sure that we can support them in the right way. As a Provisional Member, a photographer should be able to submit for qualification within a year or sooner. The most popular way of providing mentoring is through Portfolio Reviews, they’re short, one to ones between the photographer and a mentor or Assessor. They go through the images and begin to put together their portfolio and supporting evidence, ready for qualification. It’s difficult for some people to meet though, so we can also provide support by email and phone. What benefits does this bring to your mentees? This stage of the photographer’s journey is critical. It’s really easy to listen to advice but the quality of the advice is so important. All BIPP Assessors are trained for up to two years. They know the qualification criteria etc. Listening, and working with an Assessor can help people soar ahead with their work. The Assessors won’t do the work for them, they’re there to encourage, support and advise, but they are an absolutely vital part of what BIPP achieves and they do it in their own time. Does mentoring continue after qualification? Oh yes! BIPP offers a tiered qualification structure. It’s all about personal development, pushing yourself to be the very best you can be. Moving on to the next level may take anything from months to years, but Assessors are there to help at every step. We talk to commercial photographer Dazeley about his work, photography projects and the future of visual media careers.